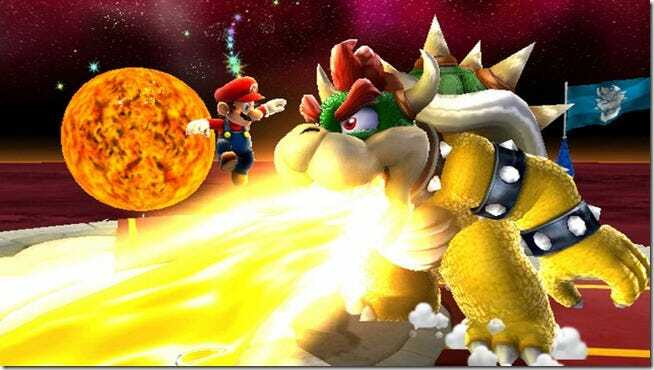 If you ever played Super Mario Brothers or Mario Galaxy, you probably thought it was only a fun videogame—but fun can be serious. Super Mario has lessons to teach you might not expect about graphics and the concepts behind them. The basics of image technology (and then some) can all be explained with a little help from everybody’s favorite little plumber. So read on to see what we can learn from Mario about pixels, polygons, computers and math, as well as dispelling a common misconception about those blocky old graphics we remember from when me first met Mario. Videogames are rendered on televisions and monitors in single pieces of image information called pixels, short for picture elements. These base units used to make up the only kind of artwork that videogames could have, in the days of older, more basic videogames and consoles. These are sometimes called sprites, which in context of video games, is another name for bitmap image. Bitmap is the simplest term for an image file—you might glean from the name it is a simple map of the bits that make up the image. When you think of classic Super Mario Brothers-era Mario, you think of the big clunky pixels those sprites were drawn with. As it turns out, the original Nintendo Entertainment System only had an effective resolution of 256 x 224 pixels, with only a total of 256 x 240 even possible. Compared to modern game consoles, the NES is pitifully low resolution. Resolution can be defined as the total number of pixels available for display. This can apply to any type of graphic, whether it’s Mario, a bitmap of a logo, or a digital photograph. More pixels is always more opportunity to create a better image. Even the Wii console, which is only capable of Standard Definition of 480p, displays 640 x 480 pixels, even on high definition televisions capable of much more. 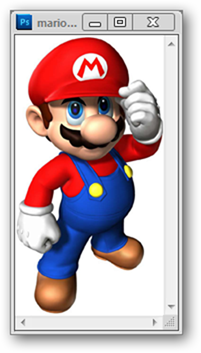 However, the difference is pretty clear—Mario is considerably more high resolution than he used to be. 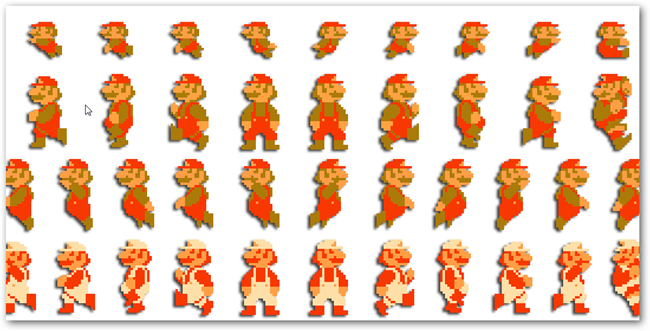 Bitmaps, or sprites, are made from files that are a literal mapping of colors laid out on a grid, hence creating the blocky texture we’re used to seeing on classic Mario. 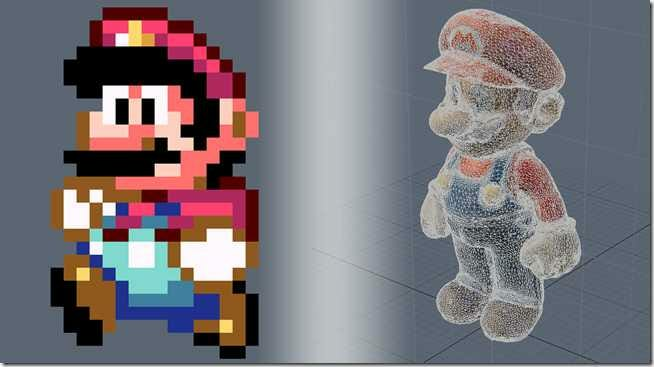 Newer Mario, sculpted in a three dimensional space with polygons, is less limited than older Mario. He “exists” in a sort of “world” made out of math, graphed out by increasingly speedy computers the same way you might draw a polygon when blocking out an algebraic graph on a whiteboard. These basic polygons, line segments, and points are called primitives, and they are the base units of this mathematical world the same way that pixels are the base units of bitmaps. However, unlike bitmaps, they don’t have resolution. Think of how the camera zooms in on Mario in the newer games, and how he never seems to revert to any blocky, clunky pixel version of himself. Basically, you can move a polygonal Mario any way you want, and he’ll stay clean, crisp and high resolution. 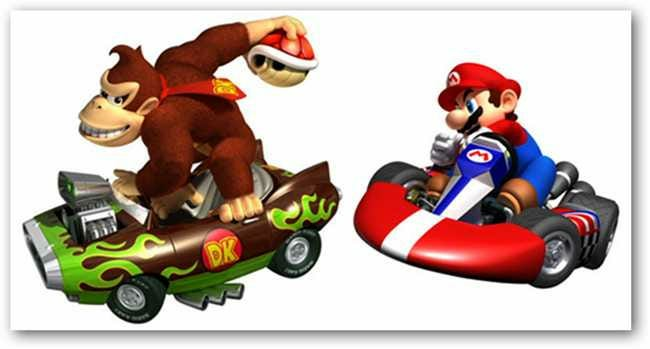 If you’ve played any of the recent Mario Kart Games, you are probably familiar with Mario’s old nemesis Donkey Kong. 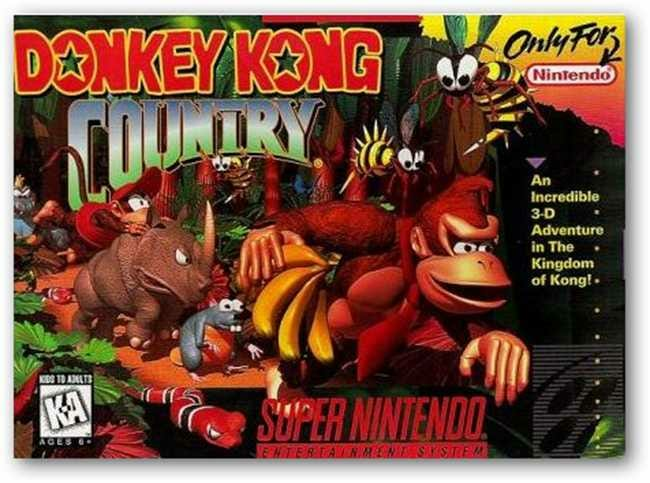 Donkey Kong starred in a series of Mario-style run and jump action games in the mid-nineties called Donkey Kong Country, which boasted computer-rendered, polygonal-style graphics on a system that wasn’t truly capable of it—the Super Nintendo. What miracle had been pulled off to make this work? As it turns out, Nintendo and partner RARE sort of pulled a fast one on their audience. Donkey Kong Country, its sequels, and many other games from RARE used a process called rasterization to turn polygonal graphics into two dimensional, pixel-based representations. This created the illusion of advanced, computer-rendered graphics in an age when they were considered high-tech, beautiful and exotic. One of the most frequent misconceptions is that the NES graphics were 8-Bit graphics and SNES and SEGA systems were 16-Bit. While those numbers were closely associated with those systems, they were not accurate in describing the images on screen. The NES actually had 6 Bit graphics, while the Super Nintendo had 15 bit color, but was limited to only 8 bit graphics on screen at any one time. Confused? Let’s take a quick look at what those 8 and 16-bits really meant. A Bit is the smallest bit of information a computer processes, and an 8-bit processor has a capability to process an octet (8 bits) in a single cycle. The Nintendo Entertainment System had such an 8-bit processor, as the SNES and Sega Genesis had processors capable of 16 bits per cycle. Modern processors in most computers have an architecture that allows for 32 or 64 bits per cycle, which occur in billions of cycles per second. But when you’re talking about images, 8-bit means something entirely different. An 8-Bit image has 28 colors available, or a total of 256 colors. A garden variety JPG will be 24 bit, consisting of three channels for Red, Green, and Blue with 28 colors in each channel. So the NES actually had 26 colors available, while the SNES had 215 but could only display 28. When you look at the images of Mario above, the first two are the only ones that are actually 8-bit representations, the first rendered in 256 shades of gray, with the second rendered with GIF style diffusion in 256 shades of color. The third is a 24 bit JPG, with a total of 224 colors. So the next time somebody talks about “8 Bit graphics” you can proudly correct them, and tell them you learned it with a little help from Super Mario! All images of Mario copyright Nintendo, assumed fair use. 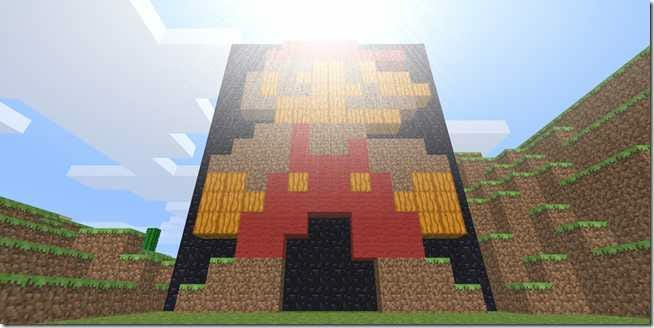 Minecraft Mario by Swarmer2010.